The bedroom is a relatively Yin place: it is more private, in general located far from the main entrance. As a place where heath and energy are replenished, the bedroom should be a quiet, stable place with an abundance of energy. It should not be too big. After all, in the Qing Dynasty, the Emperor’s bedroom in the Forbidden City was only 20 square meters. I also told her that the most important feature of the bedroom is the placement of the bed. Two points are crucial. First, the head of the bed should be against a solid wall. Second, the entrance to the bedroom should be in front of the bed, so it can be clearly seen from the bed. In addition, to have abundant energy, the bedroom should not be too big, so that it the energy it contains will not become too diffused. She then asked whether it wasn’t important that the bed faced north or south. It’s true that some people believe that we should sleep in alignment with the earth’s magnetic field. But there are also people who believe we should sleep east and west, in alignment with the rotation of the earth. Regardless, the higher-level principle is that the bed should have good support that the head should be against a solid wall. There are other, smaller issues. For example, it is often said that one should not face a mirror, and some people go so far as to cover the mirror at night. Although this is extreme, there is a basic principle behind this belief: the bedroom should support rest and stability, and that one should not be taken by surprise by unexpected movements. This applies to all decorations: they should foster rest, and not promote wakefulness and activity. 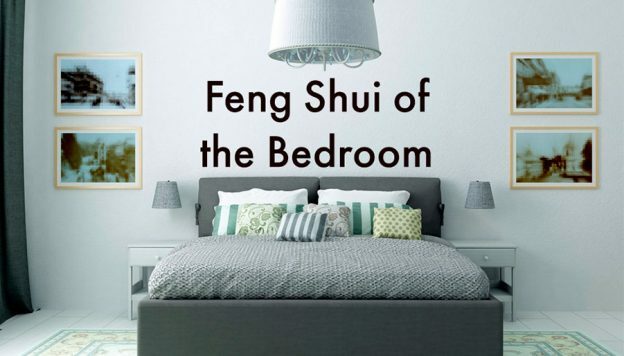 The bedroom is a Yin room, so, by resonance, Yin features will help support its Yin qualities. Similarly, it is best to minimize Yang energy. For example, people often think about the view from the bedroom: but how important is the view at night, when you’re asleep? The most important aspect of the bedroom is the bed, and the bed is the most important investment in it. If we spend a third of our lives asleep, we should try to make that part of our lives as effective as possible.